Hello, I've scoured the forums for this topic but any search turned up with very old threads that didn't seem to resolve the issues I am currently having. 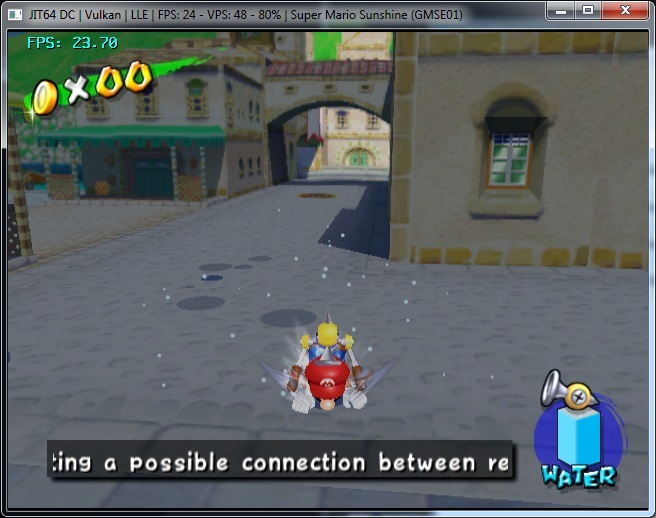 I'm trying to run Super Mario Sunshine, and it seems to run okay in menus but the moment I get into Isle Delfino, the frames drop significantly no matter what resolution I play it in. I've tested other games to see if it was just my PC, but other games seem to run alright for the most part. 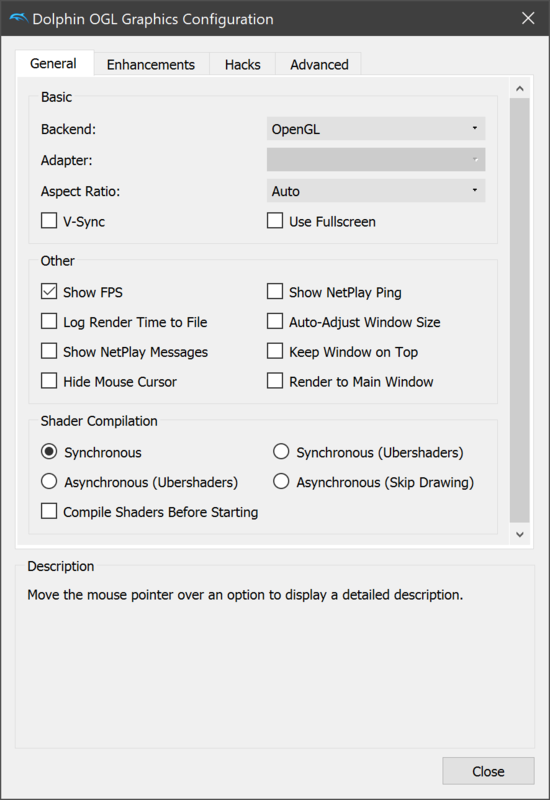 Try it with the newest development build of Dolphin, set Shader Compilation to anything other than just plain old "Synchronous" (which is the default). You may also want to try setting the rendering backend to Vulkan. I've set the shader compilation to Ubershaders here. I still seem to be getting roughly the same performance. 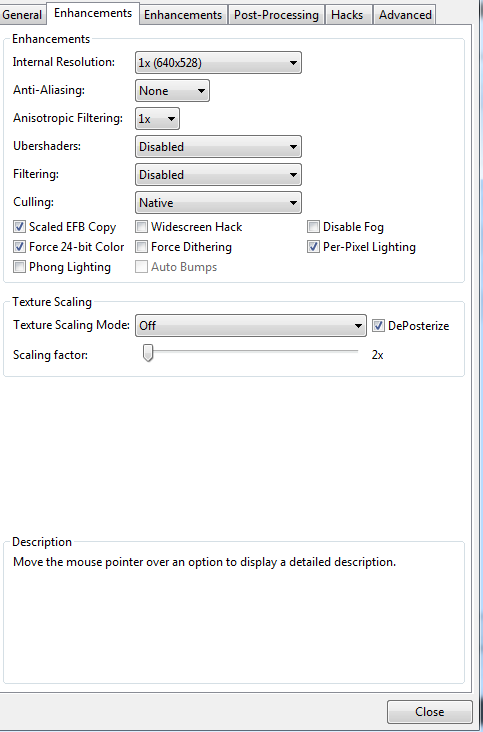 Noticeably choppy and stuttering audio, with pretty much the same framerate as before. 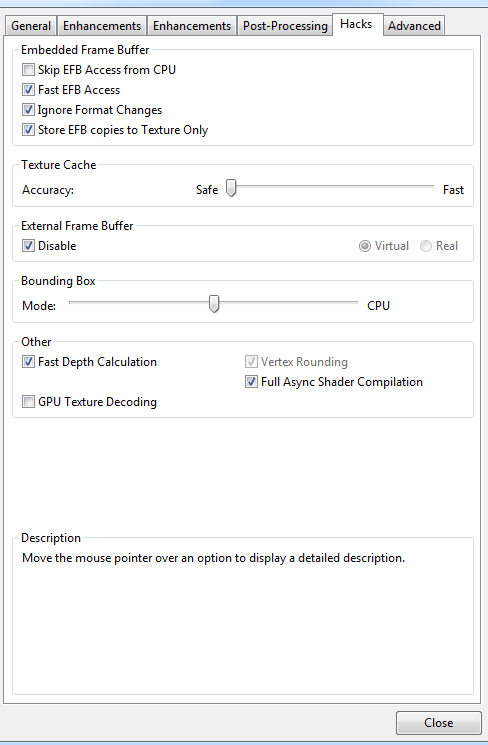 It seems to stabilize from anywhere between 22-27 FPS when not doing anything, but it can dip it the 10's and sometimes single digits when attempting any form of movement, or moving from one part of the island to the other. Yeah, I have the same issues for multiple games too. Also , "Safe" Texture Cache can reduce performance by a lot . I prefer "medium" instead of "safe"
Thanks, this helps alleviate lag greatly when playing the vanilla game. When I try to upscale it or use the 60 FPS hack the frames tend to go back down. Is there anything else I could do to speed it up? I think various gecko codes cause stuttering right now and you'll need to wait until a solution is found. (04-23-2018, 02:51 PM)Saritos Wrote: When I try to upscale it or use the 60 FPS hack the frames tend to go back down. Make sure your shader compilation isn't set to "Syncronous (ubershaders)" as that's the most demanding performance-wise...though I would imagine a GTX 1070 would have no issue. Basically use either of the "Asyncronous" settings ('skip drawing' is the least demanding of the two but it can cause wacky graphical issues). 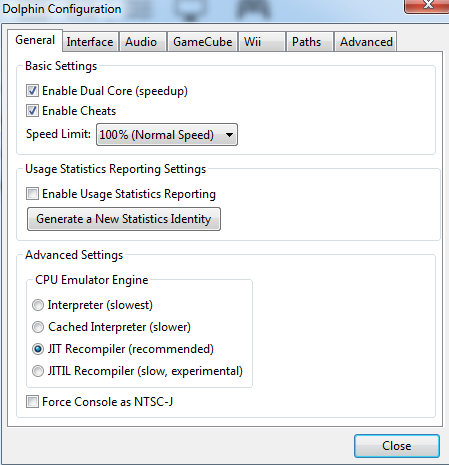 (04-23-2018, 06:02 PM)Nintendo Maniac 64 Wrote: Make sure your shader compilation isn't set to "Syncronous (ubershaders)" as that's the most demanding performance-wise...though I would imagine a GTX 1070 would have no issue. Thanks, everyone's suggestions have helped the game to run at a consistent 30 FPS even when upscaled to 4K. The 60 FPS Gecko codes still make the game essentially unplayable, but as previously stated it seems to be a near universal issue currently. But at least I can play the game smoothly in one way, rather than not at all. 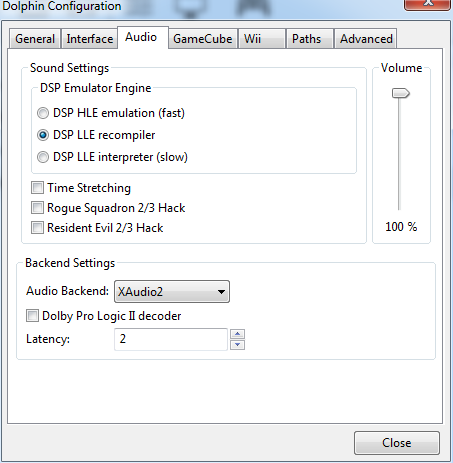 Wow, I've had the exact same problem for a while now; and setting DSP to HLE (and not LLE) fixed everything!